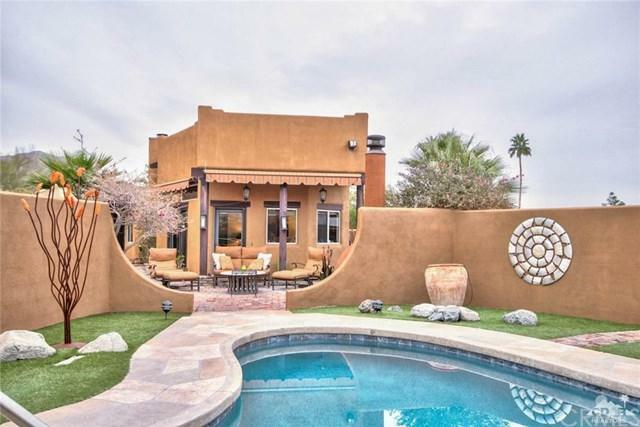 This Beautiful Custom Santa Fe style home is located on prestigious Avenida Montezuma and boast unobstructed Mountain Views. Nestled high above in the Cove steps away from the Bear Creek Trail this home features an open floor plan where luxury meets cozy with high end Cambria finishes, Jen-Air stainless steel appliances, new tile floor throughout, custom doors, clerestory windows, french doors with custom window coverings, and a stacked stone fireplace. 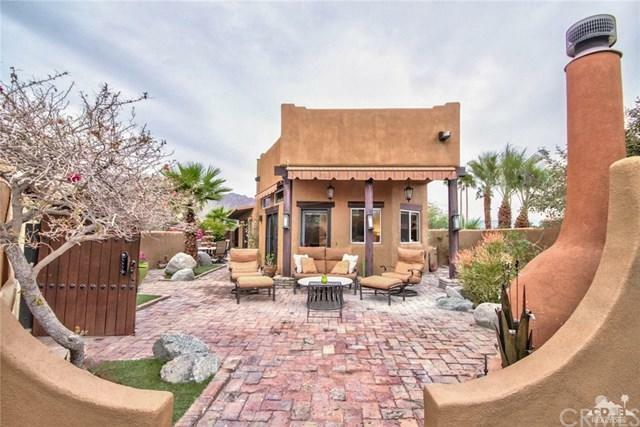 Enjoy al-fresco dinning by the Kiva fireplace with automated awnings overlooking the Santa Rosa Mountains and Salt Water pool or enjoy relaxing under the stars near the quaint fountain! 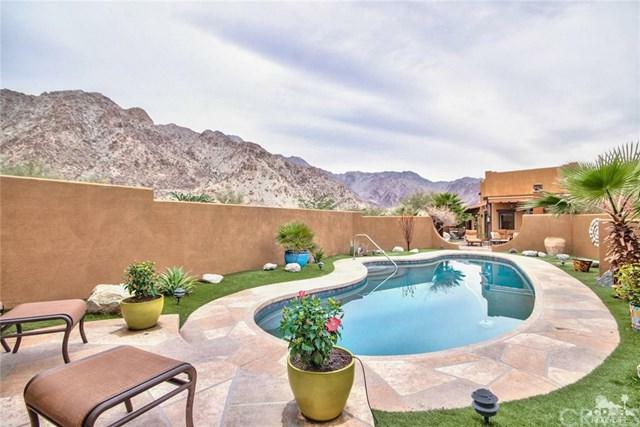 This home is a unique find, a must see to appreciate! Check out the virtual tour and video for more information!